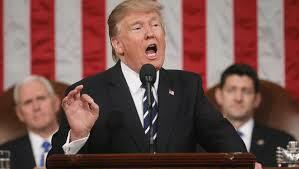 President Donald Trump's State of the Union Speech last night was cause for Americans to be hopeful for the future of the nation. It was as though someone opened a window to let fresh air in to the Capitol building after eight stifling years of Barack Obama and the Democrats. The President spoke of hope and change to set free the engines of enterprise from the hobbles of government regulations and disincentives. He spoke of low unemployment and the rising stock market. The President spoke of national security to protect America -- and, by extension, the world. He spoke of faith and family and reminded Congress of the words found on America's currency: "In God We Trust." 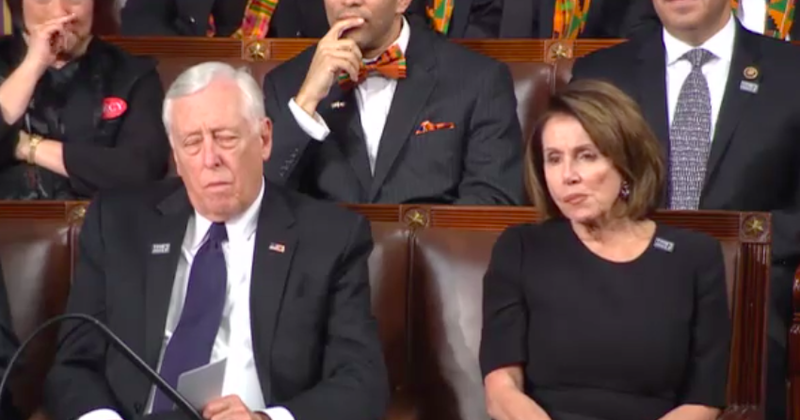 The Democrats sat sour-faced, glued to their seats, refusing to applaud the plan to Make America Great Again. They sat and scowled as the President celebrated human greatness of ordinary people, and the capacity of motivated Americans to succeed. He called the nation to believe in itself and rise to its full potential. The Democrats stewed. It revealed something of their darkness. I do believe America is seeing the bright and hopeful rays of a new sunrise, after eight disastrous years of the Democrats. It is so important that the American people strengthen the Republican majorities on both the Senate and the House of Representatives in the upcoming mid-term elections. Without decisive majorities, the Democrats will continue to obstruct and stymy legislation of the duly elected Republican government and President. You see, to Democrats it's all about winning and losing not right and wrong.